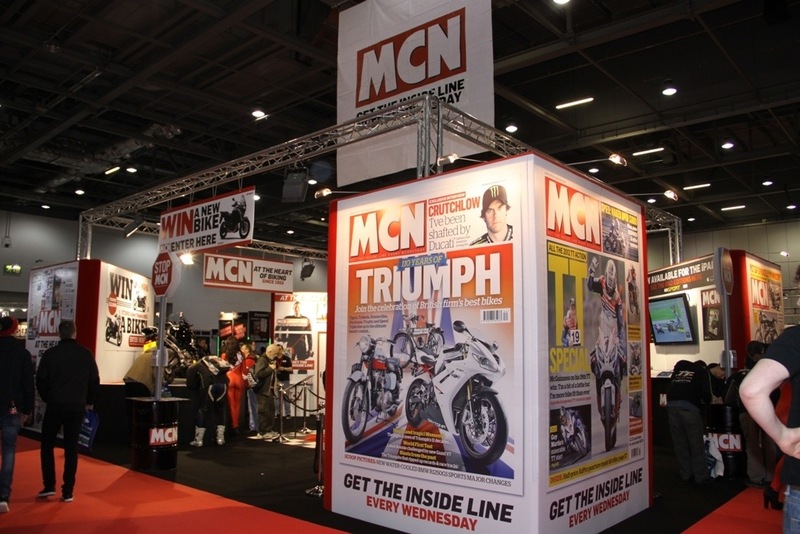 An action-packed 2014 Carole Nash MCN London Motorcycle Show (February 14-16) has been announced, integrating the inaugural London Custom Bike Championship with a massive prize fund, new interactive Zones and a line-up of top racers soon to be announced. The recession bucking 2013 Show was deemed a spectacular success by showgoers and exhibitors as 36,777 visitors poured through the doors over the three days, the best attendance since the Show’s formation in 2008. The Show ‘gate’ was up a phenomenal 37% on its previous figures. Priced just £16, visitors will get to experience incredible live action, meet top name racers and sit on all the latest 2014 models from the major motorcycle manufacturers from around the World. The free, centrally placed ‘Revolution’ show brings together the best characters in Racing from past and present to compete over obstacles in a fun spectacle for all the family. Last year’s line-up included ex-race Champions and TV pundits Jamie Whitham and Neil Hodgson, Isle of Man TT legend John McGuinness, 12-time Trials World Champion Dougie Lampkin, 2011 British Superbike Champion Tommy Hill and fan-favourite Chris Walker, all of which thrilled the crowds with stunts and crashes! The 2014 line-up promises to be just as impressive with a full list of big names expected soon….. The show will again feature interesting exhibits from the globe in the Sports & Performance Zone, Custom Zone, Adventure Zone, Classics Zone. Each Zone features explorers, racers and customisers talking about their biking experiences and answering questions from visitors. This year the event will host the first ever ‘London Custom Bike Championship’ , a big money prize cavalcade of the most jaw-dropping creations from the vast array of customising houses from all over Europe. The British Superbike Championship brought their best talent to the fans including current series Champion Shane Byrne, while a new team was launched live at the Show. Other highlights of last year’s event included Jorge Lorenzo’s MotoGP winning machine and the starting up of the legendary Honda ‘Six’.